Since Valentine’s Day is tomorrow, I will dive into a couple of fun little technology related ways to celebrate, whether you have a special someone or not. One thing in common with each of these ideas below is that they are all different ways of mobile marketing. What makes mobile marketing different from other forms of marketing is that it is highly personal and it is rich but simple. A cell phone is a very personal item that consumers don’t typically share with anyone else. It goes pretty much anywhere you go and it’s customized to reflect your own personal values through different apps, features and photos. Mobile marketers must also remember to keep their advertisements simple in all aspects from design to delivery, which means that the experience has to deliver a clear message that is easy for the user to participate in. So, for anyone who may have an office crush on someone and wants to “let the cat out of the bag”, this one is for you! Digital agency R/GA is offering up free assistance for you hopeless romantics. By going to the agency’s website, then entering in the object of your affection’s Twitter handle and a tad bit of personal information, Office Cupid will make a “Valentweet” for you. I offer a large amount of caution if choosing this option. It would be super embarrassing to either have Human Resources come knocking on your cubicle or perhaps to get turned down. For anyone who is single, and plans on eating a bowl of Ramen noodles or whatever kind of soup you choose for Valentine’s Day, this gadget is for you! So, buy yourself a new outfit, hit the spa and then treat yourself to dinner. But, have you ever tried to browse Facebook or the Internet while eating out of a bowl? 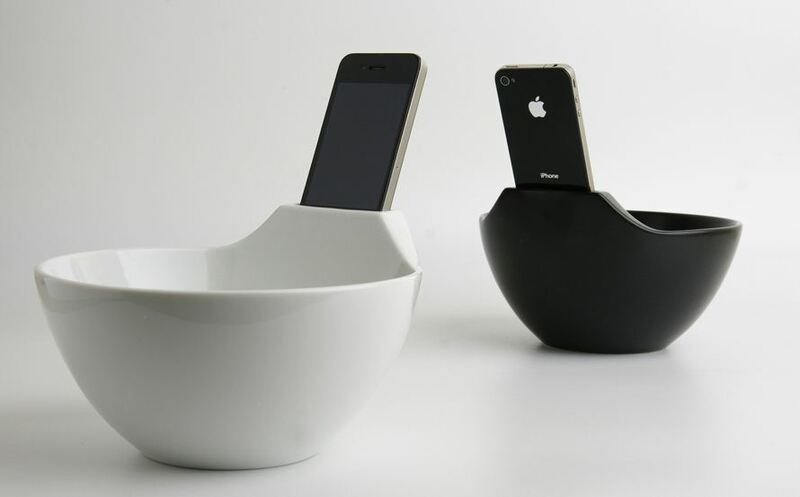 Well now there is something called the “Anti-Lonliness Ramen Bowl.” The bowl has a built-in iPhone dock. I have to admit, it’s kind of cool! You know you want one! According to a recent survey by deals site Offers.com, what your special someone wants most is something that is heartfelt and homemade (hint hint!). 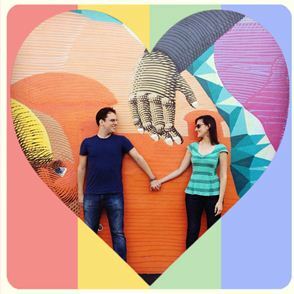 So, instead of trying to throw some terribly fashioned creation together with your child’s craft supplies, perhaps consider Lovestagram, which is a simple Valentine creator that will generate a sweet little storyline made out of your shared Instagram photos. The catch is that you both have to have Instagram accounts. But sounds pretty cool, especially for a person who loves photos! One more idea for a homemade/heartfelt gift idea is a love poem, that is deemed to actually be good, by using the Instant Poetry App. And one that I have used several times throughout my years of marriage, your own personal coupons. Well, my version was old skool, by using pen and paper. But, there’s more technology savvy ways of doing this now. You can create your coupons as “G-rated” or not by using Americangreetings.com. Most importantly…have a Happy Valentine’s Day! …couples or not! This entry was posted in Emerging Media and tagged love, technology, valentine by Crystal. Bookmark the permalink.